Friday 23rd February was no ordinary day at the office. Clare, our Practice Manager who joined DCA in 2005 had a table full of gifts to unwrap (one for each year). 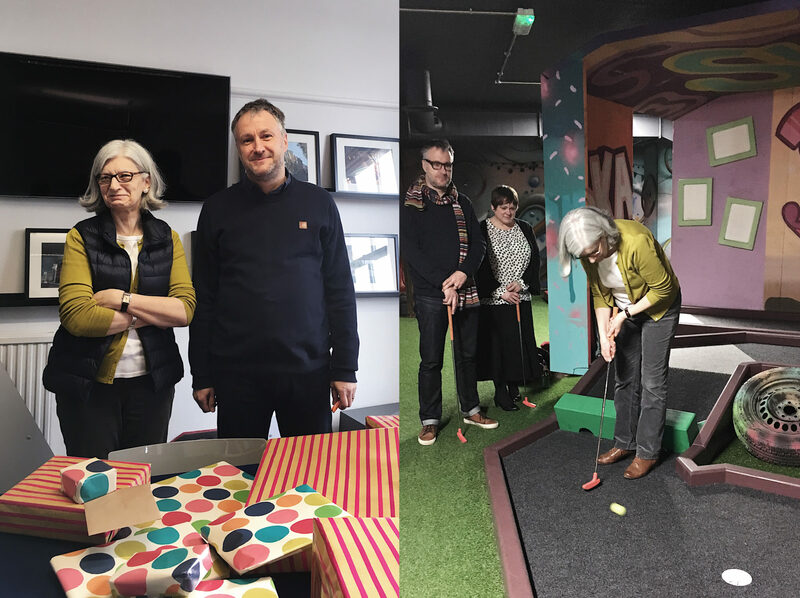 After that, we had a lovely lunch at the Villa Italian, then went on to have a crazy golf session and drinks afterwards. Clare we hope you enjoyed your last day at the office and we wish you all the best for the future!